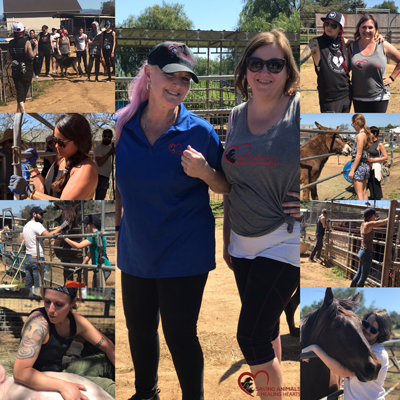 Kind Heart Coalition hosted a volunteer day bringing thirty incredible humans, a wheelbarrow full of veggie donations, and ready to rebuild piggy pens, clean stalls and love on all of our rescue residents! 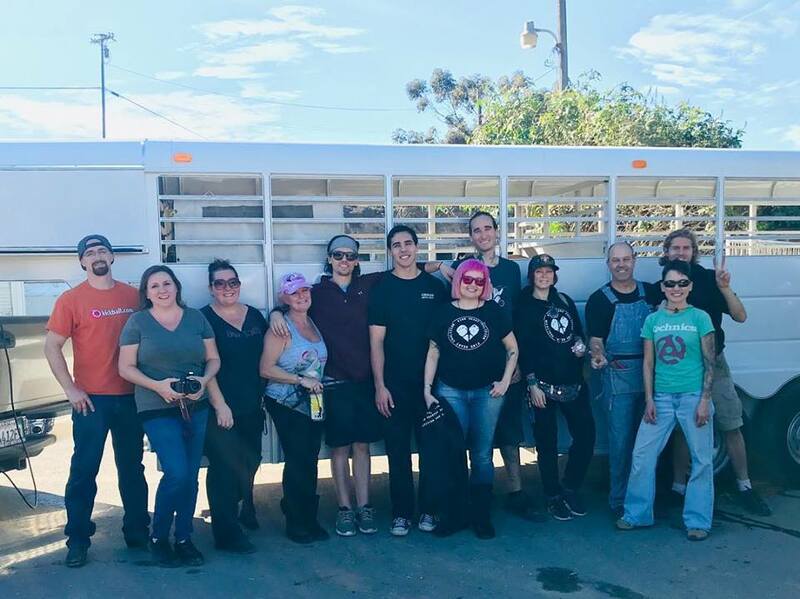 We are grateful to have such an awesome group of animal lovers and vegan activists willing to give their time and effort to help care for our animals. Thank you “Kind Heart Coalition” for sponsoring our volunteer event. We had 37 wonderful people show up to help us clean up after the heavy rain we received recently. They donated veggies and collected blankets to help keep the pigs warm during these cooler winter nights. They also built a much needed piggy shelter and cleaned pens and stalls! It was absolutely fantastic to not only see so many people working together to get projects done, but the amount of attention and love all the animals received was so heart-warming. I would say it was most definitely one of the most successful volunteer events we have had. Thank you! 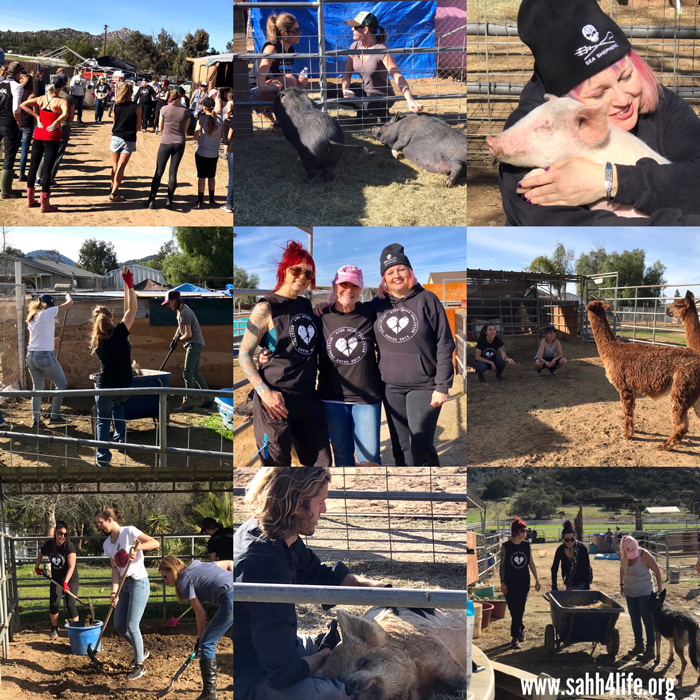 A quick review of some of the rescues and events here at SAHH in 2018! We finally rescued the last 11 pigs in South Bay! Do you know what Superman and Batman and every other super hero has that the people in this photo don’t have? A cape. That's it. Just a cape because these are the true SUPER HERO's of rescue. With only a few hours notice these incredible souls showed up to help us remove the remaining South Bay pigs. Without them we could not have accomplished this. I am proud to know such incredibly caring, giving, loving people! These lucky pigs will be ready for forever homes pending clearance. More info on them will be posted on the Adoptions page soon. 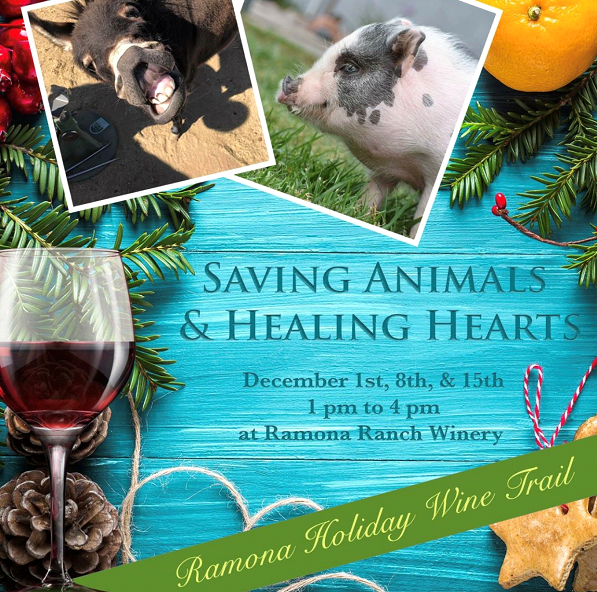 Thanks for joining us for our afternoon of fun on December 8th & 15th at the Ramona Ranch Winery. We introduced a friendly rescue potbellied pig and sipped on delicious wine! Also joining us for the fun was our newest rescue piglet, Watson. Watson is completely adorable and was recently adopted! We sure had a great time meeting everyone!